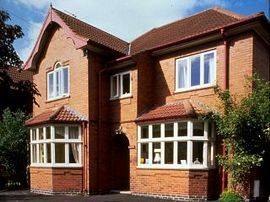 Located conveniently on the main York-Edinburgh road, north of the city centre. 'The Heathers' offers a relaxing atmosphere after visiting the many attractions of York, and we suggest a FREE guided walking tour to all our guests, to help you appreciate this historic city. 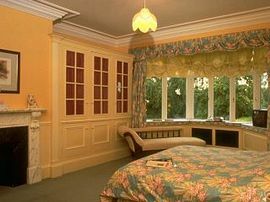 We are one of the top inspected Guest Houses in York according to the AA Bed & Breakfast Guide, and offer totally 'No Smoking' accommodation, together with the unusual benefit - for York - of private 'off-street' car parking for all guests GUARANTEED. There is also a regular (every 10 minutes approx.) bus service into the City centre, if you do not want to take the car. Whichever your choice bedrooms - en-suite or with private bathroom; small and cosy - or spacious and sumptuous; you will find all our rooms furnished to a high standard. We use designer fabrics and individually selected bed linen, chosen with an eye for detail, comfort and quality, to ensure a relaxing and enjoyable stay. 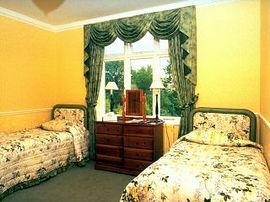 All rooms have their own washing and shaving facilities, and colour television. Tea and coffee-making facilities are available in all rooms - experiment with new flavours using the range of tea, fruit and herbal blends we supply. Each room contains the 'AA Guide to York'. Totally no smoling within the house. Special Diets Provision: Special diets are catered for. Vegetarian Options easily available, other diets catered for - if we are warned! We are located on the A19 north of York City centre, half way between the City Walls and the outer ring-road A1237. 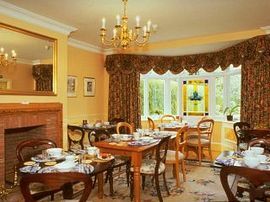 Tariff varies seasonally and according to room type - from: £28.00 per person, per night, in double/twin rooms, with private bathroom in January, to: £65.00 per person, per night for a Superior en-suite room at the peak of the season. We are open all year with the exception of 24-26th December each year. "Excellent as previously. Many thanks" R&MJ UK November 2008 "Thank you so much for your excellent hospitality. Very much enjoyed!!" A&EW Australia August 2008 "We enjoyed staying with Graham, a proprietor who cares! Lovely accommodation." G&GS USA June 2008 "We felt very relaxed here. Thank you for the information and hospitality." J&KK Australia May 2008 "Truly lovely stay, really appreciate Graham's warmth of personality and hospitality. Thank you very much." Dr M O'R Ireland August 2007 "...a very clean and tidy place. Thanks again for your time, hope to see you again." M&L February 2007 "Thank you. Great breakfast especially the vegi one!" R&MJ October 2006 "A very relaxing stay. Excellent breakfast. Thank You." J&K Oct 2006 "Peaceful. Comfortable. Clean." T&JW New Zealand August 2006 "Very helpful and a lovely place to stay" Bothard Family June 2006 "Excellent 2 days with Graham. Highly recommended" Kim & Ivy May 2006 "Excellent rooms, very clean. Friendly owner" Quinn October 2005.